As a battered spouse, child or parent, you may file an immigrant visa petition under the Immigration and Nationality Act (INA), as amended by the Violence Against Women Act (VAWA). The VAWA provisions in the INA allow certain spouses, children, and parents of U.S. citizens and certain spouses and children of permanent residents (Green Card holders) to file a petition for themselves, without the abuser’s knowledge. This allows victims to seek both safety and independence from their abuser, who is not notified about the filing. The VAWA provisions, which apply equally to women and men, are permanent and do not require congressional reauthorization. Help is also available from the National Domestic Violence Hotline at 1-800-799-7233 or 1-800-787-3224 (TDD). The hotline has information about shelters, mental health care, legal advice and other types of assistance, including information about filing for immigration status. For more information, visit the National Domestic Violence website. 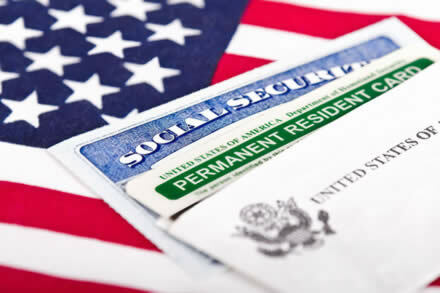 Spouse:You may file for yourself if you are, or were, the abused spouse of a U.S. citizen or permanent resident. You may also file as an abused spouse if your child has been abused by your U.S. citizen or permanent resident spouse. You may also include on your petition your unmarried children who are under 21 if they have not filed for themselves. Parent: You may file if you are the parent of a U.S. citizen, and you have been abused by your U.S. citizen son or daughter. Child: You may file for yourself if you are an abused child under 21, unmarried and have been abused by your U.S. citizen or permanent resident parent. Your children may also be included on your petition. You may also file for yourself as a child after age 21 but before age 25 if you can demonstrate that the abuse was the main reason for the delay in filing. 9:00 am- 5:00 pm EST. Available after hours, Saturday consultations and emergencies upon request.